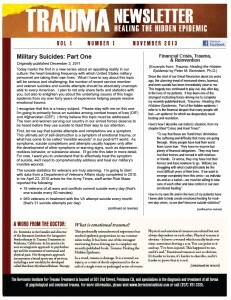 I’m excited to announce the arrival of the first issue of our newest publication, the Bernstein Institute Trauma Newsletter. 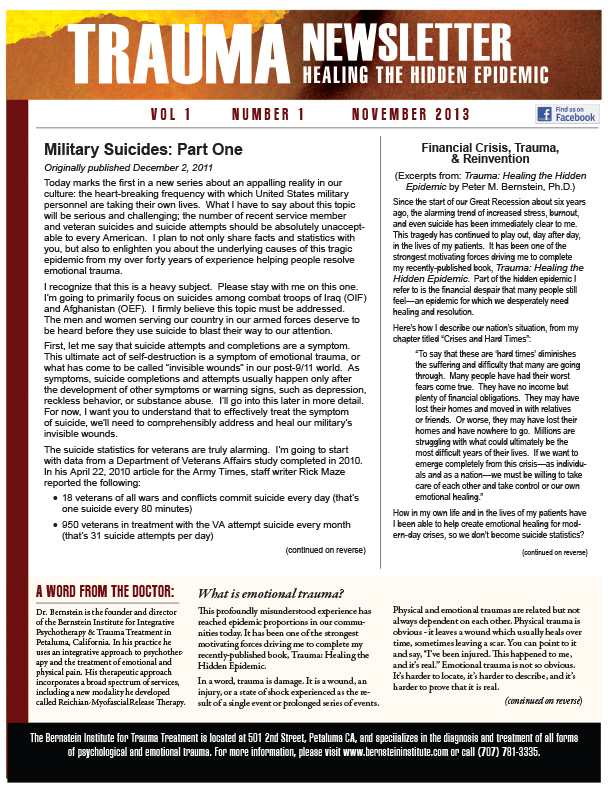 Each issue of the newsletter will contain helpful, practical articles on the subject of trauma, along with a personal note from me on a vital issue catching my attention. My aim is to consistently provide accurate information and positive inspiration for everyone who has been touched by what I’m calling the “hidden epidemic” of our time. Soon, we’ll have a way for readers to subscribe to the newsletter through our website. For now, please follow the link to download your copy today. I feel deeply honored to be the subject of a feature article in the June 20th issue of my award-winning hometown paper, the Petaluma Argus-Courier. Here’s how it all came about. A little over two weeks ago, John Burns, the Argus publisher, contacted Steve Rustad, my marketing consultant. 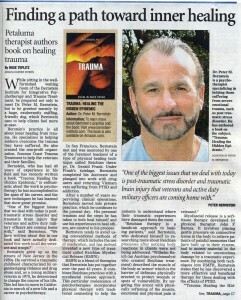 Would I be willing to give them an interview, John asked, to discuss my new book, Trauma: Healing the Hidden Epidemic? I was more than happy to oblige. Next, I received a message from an Argus reporter named Rose Teplitz. She sounded young and energetic on the phone and I agreed to meet with her later that morning. As Rose walked through the door of my institute and introduced herself, I discovered how truly young and energetic she was. Rose is a Casa Grande High School student in their well-regarded journalism program and is serving as an intern at the Argus for the summer. During the next hour, Rose conducted a thoroughly professional interview and was a joy to talk with. I spoke with her at length about my book and my work and gave her some materials to use in preparing her article. 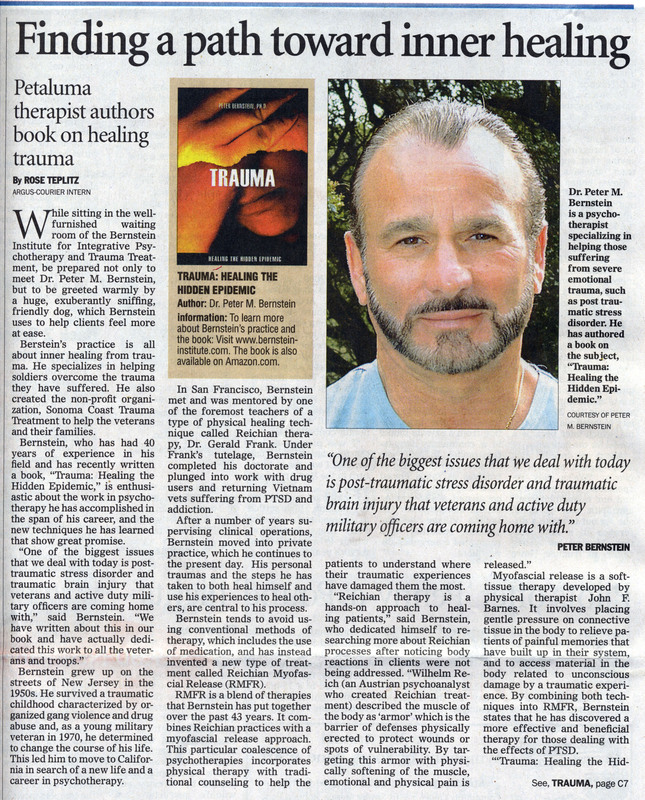 Last Thursday, “Finding a Path Toward Inner Healing” appeared on the front page of the Petaluma Community section of the Argus-Courier. Rose is an excellent writer, doing both the Casa journalism program and the Argus proud. She accurately and thoughtfully communicated my message that emotional trauma can be healed. Her words conveyed my passion for helping military personnel and their families, and people who have suffered during our financial downturn to recover from their “hidden wounds” and move forward in life. Thank you, Rose. Thank you, John. I appreciate this greater opportunity to give hope to hurting people.